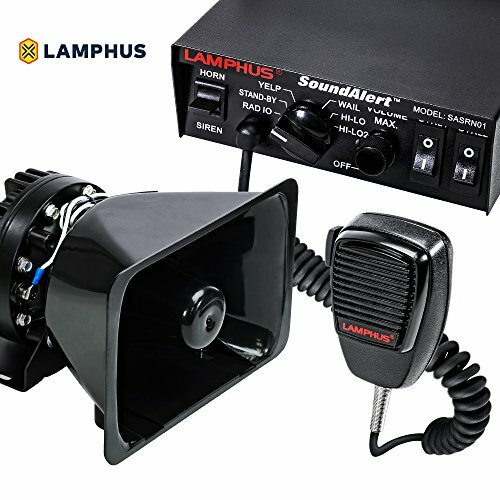 100 Watt / 8 Ohm / 400 Hz ' 4,000 Hz. 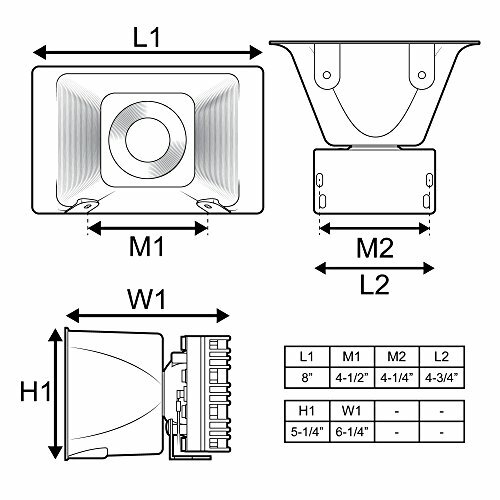 AUDIO CLARITY AND AUDIBILITY - With an adequate power output of 100W and powerful speakers with a rating of 120-130dB, you get quality audio output which is audible from a distance away. 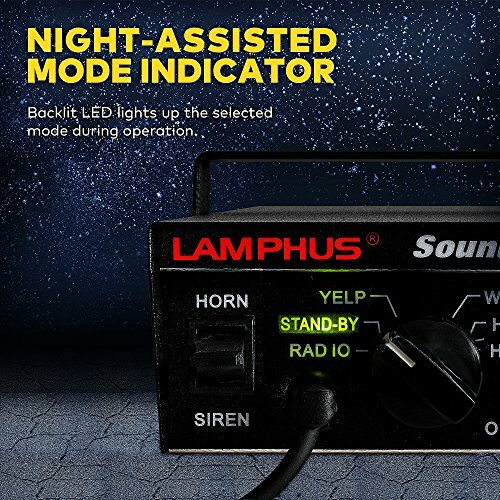 MULTIPLE OPERATION MODES - This warning system features multiple operation options which include Horn, Radio, and Siren with the siren option giving you Yelp, Wail, Hi-Lo and Hi-Lo and also Manual Horn & Manual Siren. 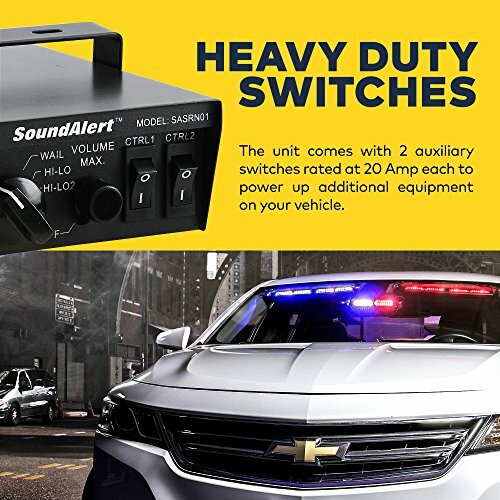 ADDITIONAL AUXILIARY SWITCHES - The SoundAlert warning system offers two 20A switches which you can use to power other external devices and appliances. 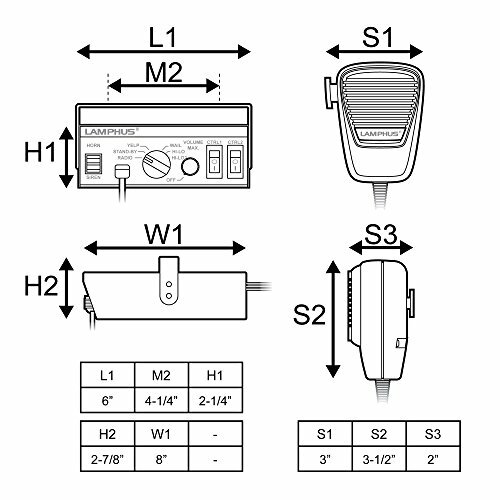 EXTERNAL SOUND INPUT - Also featured in this warning system is the option to broadcast from external sources through the radio mode. You also get a push to talk microphone. 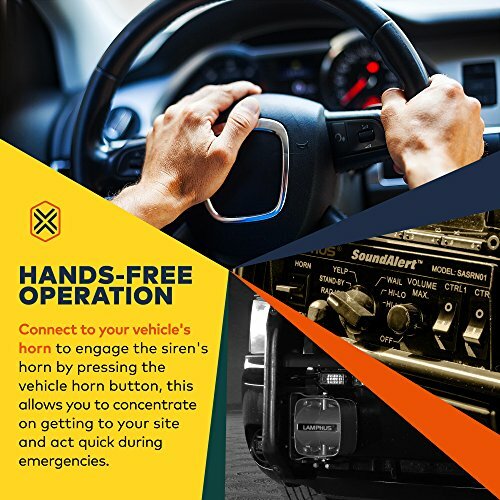 HANDS-FREE CONTROL - To give you easier access and control over the system, you can connect it to your car's horn button allowing you activate the siren system with the push of a button.